Pork ribs served with potatoes wedges. 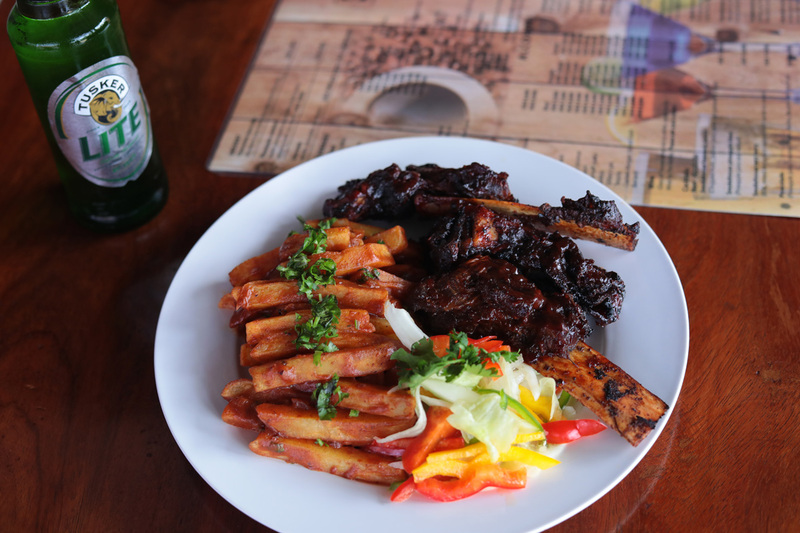 Beef short ribs served with barbecue sauce & garden salads. 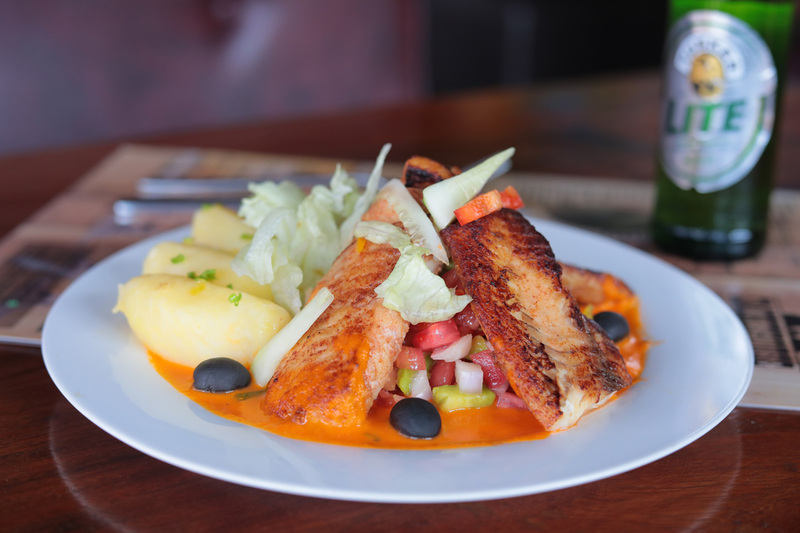 Rustica grilled fish fillet served with rustic sauces, avocado and parsley potatoes.